Welcome to the Tachograph Analysing Services (TAS) Ltd website! We pride ourselves on delivering a reliable and customised tachograph analysis service to meet the demands of our customers. We offer a range of comprehensive driver and vehicle compliance solutions for digital and analogue tachographs, including a wide range of reports to suit any requirement. 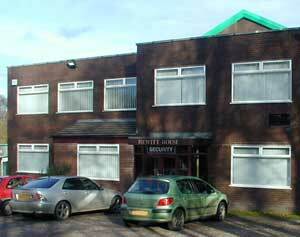 The company is based in Orrell, Lancashire. We employ highly trained analysts, all with many years of tachograph analysis experience, and utilise state-of-the-art hardware and software, enabling us to offer a service that is second-to-none. We are using high quality electronic manual tachograph readers and automatic tachograph scanners for data capture of the chart information. The highly trained analyst will also check each chart for tachograph malfunctions and defects along with driver errors and misuse. Quality control procedures are in place to ensure the validity of all data prior to customer report generation. The software, which has been used by bureaus and enforcement since 1990, can produce a wide range of reports and is continually updated to meet customer requirements. Additionally, driver training seminars can be provided by independent retired enforcement officers if required. TAS also have expertise in the provision of forensic chart analysis. We would welcome the chance to discuss your requirements.